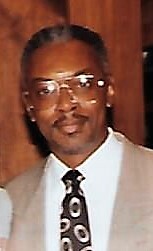 Mr. Alvin Robinson was born in Bartow, Washington County, Georgia to the parentage of Eugene Robinson and Ola Mae Jones Robinson. ​Mr. Robinson was a member of Jones Chapel C.M.E. Church in Bartow, Georgia from an early age. He later relocated to Syracuse, New York and united with Syracuse Southern Missionary Baptist Church. While in New York, Alvin was employed with the Chrysler Corporation for over thirty years. Upon returning to Georgia, he reunited and worshipped with his home church family at Jones Chapel C.M.E. Church. He was a faithful member who served as Chairman of the Steward Board and Sunday School teacher. ​The family recalls Steward Robinson's hobbies as working in his church and "fishing, fishing, fishing and more fishing". ​He was preceded in death by his parents, Eugene Robinson and Ola Mae Jones Robinson; his brothers, Walter, Willie, Frank, Remus and Paul and one sister, Willa Robinson Hicks. 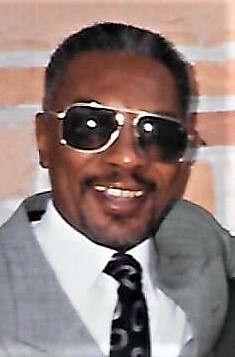 ​His kind and gentle spirit will always be cherished by his daughter, Verna McMullen, Syracuse, New York; three sons, Gregory Anthony Stribling, Clayton, North Carolina, Garrison Alan Striblng, Syracuse, New York and Tkari (Cleo) Bailey, Syracuse, New York; an adopted son of love, Charlie Jackson, West Palm Beach, Florida; four sisters, Louise Dixon, East Dublin, Georgia, Corine Daniels, Newark, New Jersey, Betty Tarver, East Dublin, Georgia and Mary L. Coston, Stockbridge, Georgia; two brothers, Rev. 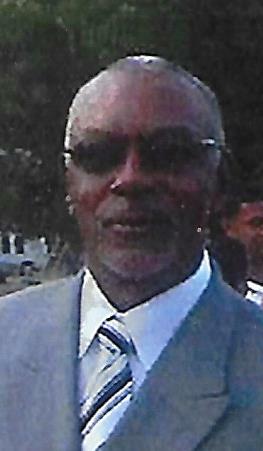 Verlon (Charlene) Robinson, Albany, Georgia and Quincey Robinson, Bartow, Georgia; two grandchildren, Damarius Carter and Vontella McMullen; a great grandchild, Daquan Everson, Jr.; his aunt, Ann Jones, Miami, Florida and a host of nieces, nephews, cousins, other relatives and friends.